I noticed only too late that there was an error in exporting the game for use :( But thank you very much for your interest in this game! Once the IGMC review period is over, the files will be updated to a playable build. I have had a game idea that I have been working on ideas for, and even created some concept art for the characters, which have been shared online on my portfolio, but nothing else has been made. Although this has been in conceptualization for a while, I was planning on slightly redesigning the characters and making the in-game art assets from scratch. Would this be allowed because the in-game art assets are being made during the contest period? A mystery-genre visual novel I'll be making in RPG Maker, so I can get used to implementing visual novel-style graphics into the engine. Premise: Brenda is to be happily married, but someone looking just like her is found dead at the wedding! It's up to Brenda's doll, Golnar, to solve the mystery behind this dead dead-ringer. I've got lots of work piled up at the moment, so all I have to show currently is this logo design, and I've been writing out the script. Character designs to come soon! Going back and changing the tilesets used is definitely something I'd like to try later once I have the opportunity. But I'm glad you like the maps! I hope you enjoy the game once you get to play! Well I did it! I wasn't able to get the art assets done in time, but I did finish up the game itself. You can find the submission here! Please let me know what you think. I'll try to add unique art assets in due time. Wanted to take a break from balancing enemies to work on concepts for the main character. I hope to have enemy balancing done by tomorrow so I can try to rework this digitally, which will hopefully come out much much nicer. Thank you very much! I hope they dialog will be enjoyable. The town is done for now. Now I will finish up the forest area. The main character travels to this town to deliver a letter she wrote to her friend. But she notices she dropped it along the way and has to go find it. Find the letter so you can deliver it to your friend, is the gist of it. Might add more to the inn later, but for now I'll say it's done. I'll be putting my devlog for "I Wrote a Letter" here. 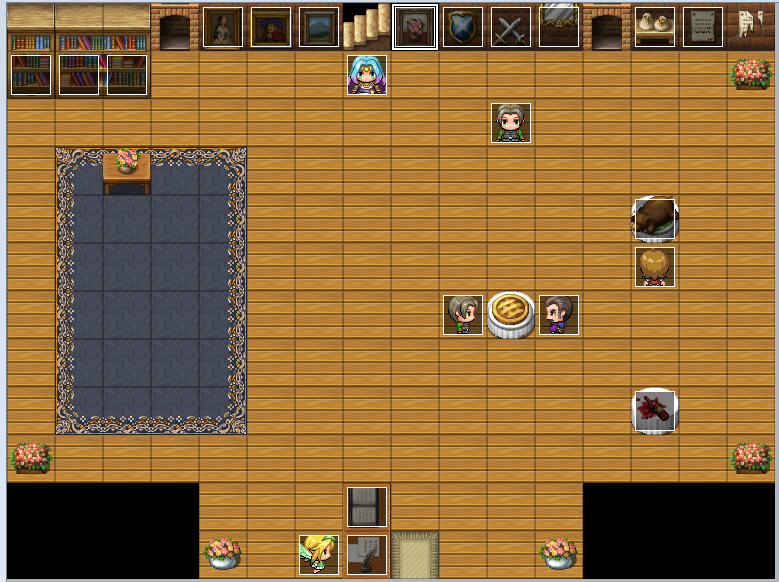 No unique assets so far--just working on getting everything into RPG Maker first. 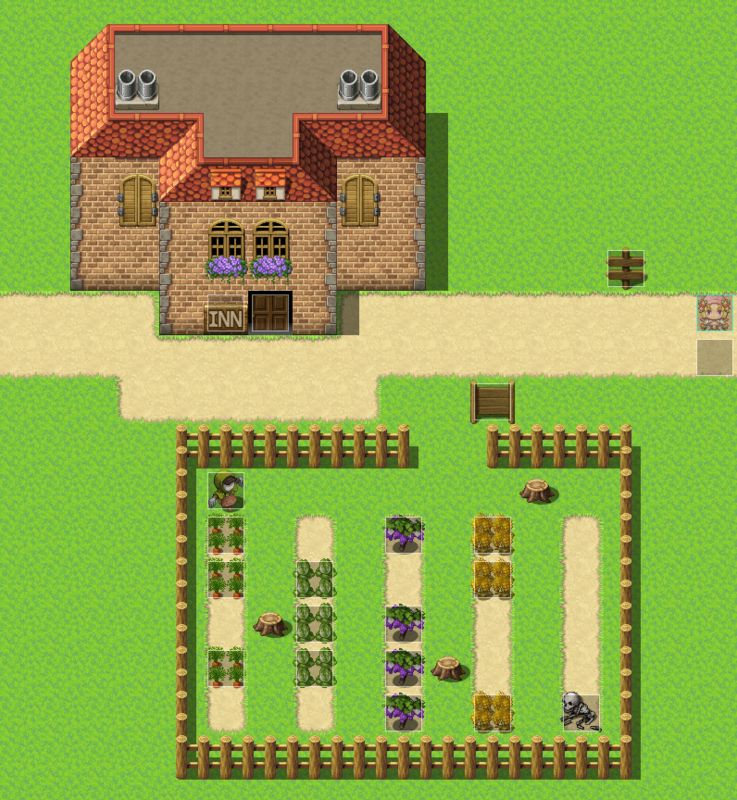 My first goal is to finish up the town, which includes the opening sequence and the second party member. A quick look at a small section of the town. I've been trying to do some interesting stuff with events. I'll update this as frequently as I'm able.